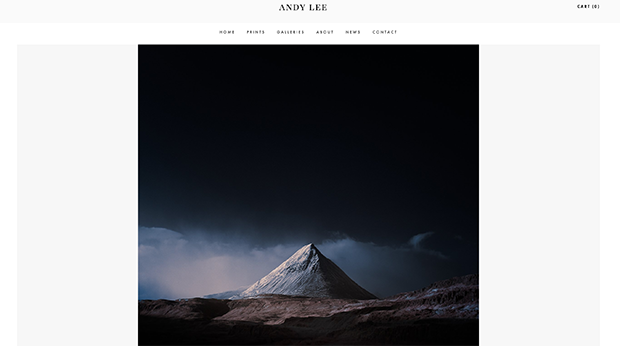 In many ways, the Welsh photographer Andy Lee reminds us of the great landscape artists of generations past. In an era in which wild landscapes face unprecedented dangers, he’s witnessed true marvels of the natural world–from a breathtaking lenticular cloudscape to a mind-blowing murder of crows in flight. Because of his background in painting and film, he understands the importance of taking his time, and he revels in the magical and serendipitous moments that happen when he least expects them. 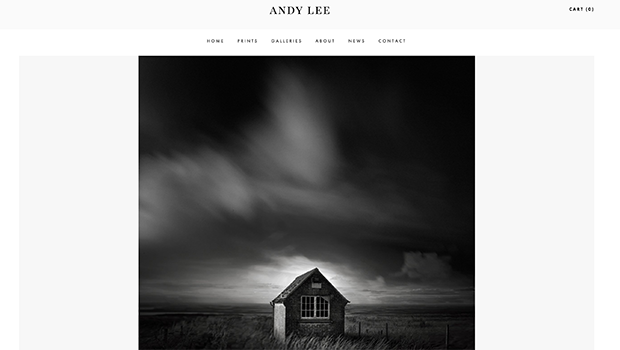 But while Lee’s work has deep roots in the history of fine art and the sublime landscape, he’s certainly a photographer of the modern age. 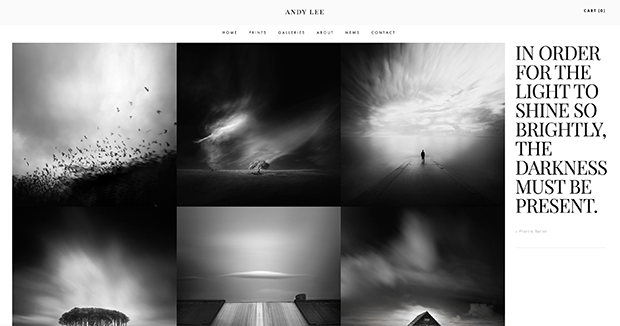 Whether he’s working abroad with charities or finding new ways to incorporate his twin passions for landscapes and portraits, Lee consistently finds fresh and novel ways to create meaningful images. And to showcase them in the most powerful way possible, he’s created a website and domain using Squarespace. With more than a few viral photos under his belt, Lee maintains a flourishing online presence and a gorgeous print shop that would give any physical gallery space a run for its money. In an era that seems defined by short attention spans and “the next big thing,” Lee proves once and for all that beautiful, well-made work will always leave a lasting impression. 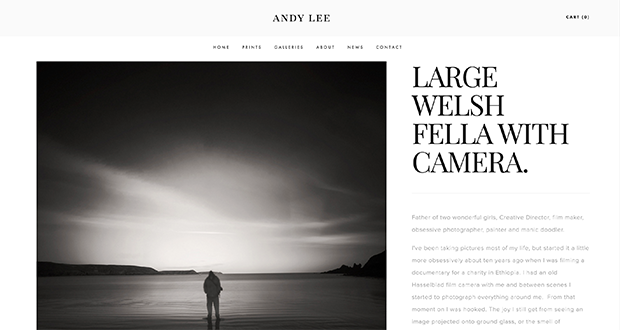 We interviewed him about his travels, the evolution of photography, and the importance of a timeless website design. Why did you choose Squarespace as your website builder? “My day job mostly consists of my role as a creative director in an advertising company. We work on many websites for a variety of different clients. When it came to designing one for myself, however, I initially hit a brick wall. I think many creatives feel this too. Maybe it’s because you are too close to the subject? Or maybe we’re just more motivated to produce the work and less to sell it. What website template do you use? 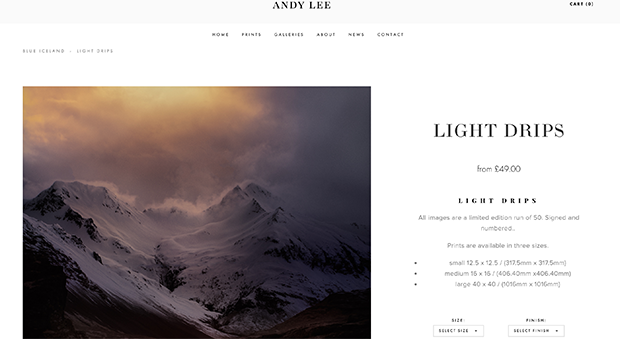 In what ways does your website complement and highlight your own personal aesthetic? Your print store is stunning. What was it like setting that up? Your print store kind of resembles a real life gallery space, with beautiful sections for each series. Was this intentional? How has shooting on film influenced your approach to photography in general? Does your background in painting affect your work behind the camera as well? Your Blue Iceland series went viral a few years back. What was that experience like? How do you think landscape photography as a genre has evolved in the digital age? What’s the most unusual or memorable landscape you’ve photographed? “Often, what makes something memorable to me is recording something you had no idea was going to happen at the time. These moments are few and far between. I’ve recently been shooting a lot of infrared, and this has increased my chances of getting these elusive shots. What about people? What has been your most powerful experience in portraiture? You use film, digital, infrared…you name it. Why is it important to you to keep learning new techniques and mixing things up?